Saudi Arabia's chief prosecutor has charged 11 people in the case of the killing of journalist Jamal Khashoggi and is seeking the death penalty for five. Turkey says it is not satisfied. Saudi Arabia's public prosecutor is seeking the death penalty for five suspects charged in the murder of journalist Jamal Khashoggi. But, Turkey says it is not satisfied with the prosecutor's findings. Khashoggi, a vocal critic of the Saudi government and Washington Post columnist was killed in the Saudi Consulate in Istanbul on October 2 by a hit squad sent from Riyadh. On Thursday, chief Saudi prosecutor Saud al Mojeb laid out the state's case in its current form. He said of the 21 people in custody, 11 have been indicted and referred to trial, and that he would seek the death penalty for five of the accused. Following his death, the Riyadh critic's body was dismembered and the parts handed over to a local agent, the prosecutor's spokesman, Shaalan al Shaalan said. "The individual who delivered the body to the collaborator has been identified," the spokesman said. However, it contradicts previous versions of what happened on October 2, from both Turkey and Saudi Arabia. Read the full Saudi government statement here. Khashoggi, 59, was a critic of the crown prince. But the Saudi prosecutor said bin Salman was not implicated in the killing, accusing two senior officials of giving the orders. Al Shaalan said the deputy chief of Saudi intelligence, General Ahmed al Asiri, had given an order to force Khashoggi home – and "the head of the negotiating team" that flew to Istanbul had ordered his murder. However, Turkey has maintained that the order was given from the "highest level," and a New York Times report suggested that the killers had phoned home, saying "tell your boss." The latest Saudi narrative on the killing also walks back its own earlier finding that Khashoggi's slaying was premeditated. Turkey's Foreign Minister Mevlut Cavusoglu on Thursday questioned the Saudi prosecutor's statements, calling them "unsatisfactory." He reiterated Ankara's demand that the suspects be handed over for trial in Istanbul, and suggested the latest Saudi move was an attempt to shut down the investigation. Cavusoglu also repeated Turkey's insistence that the person or people who organised Khashoggi's killing be held to account: "[T]hose who gave the order, the real perpetrators need to be revealed. This process cannot be closed down in this way." The foreign minister also questioned why Saudi Arabia indicted only 11 out of 18 detained suspects. He also noted that that the statement failed to identify where Khashoggi's remains were taken, if a local collaborator, whom Saudi Arabia says has been identified, was involved. Turkish presidential adviser Yasin Aktay echoed Cavusoglu's comments, saying the prosecutor's statement appeared to be aimed at covering up the murder of Khashoggi, adding the Saudi probe was unlikely to find the perpetrators. "They expect us to believe the killers carried this out on their own. This isn't very credible. Everything is clear as day, but there is an effort to cover it up a bit," Aktay said. TRT World's Francis Collins has more. The US Treasury imposed sanctions on 17 Saudi officials on Thursday for their role in Khashoggi's death. Among those sanctioned were Saud al Qahtani, who has been removed from his position as a top aide to Crown Prince Mohammed, as well as the Saudi Consul General Mohammed al Otaibi and members of a 15-person team Turkey has identified as being involved in the murder. The announcement was unusual for Washington, which rarely imposes sanctions on Saudi nationals. The sanctions limit access to the US financial system and freeze the individuals' assets. They will be implemented under the Global Magnitsky Human Rights Accountability Act, which targets perpetrators of serious human rights abuses and corruption. 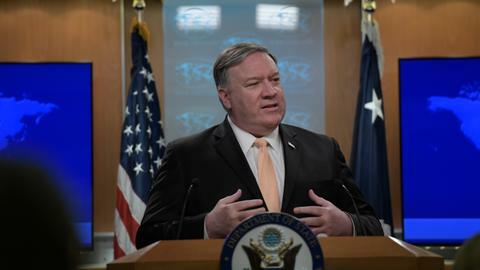 US Secretary of State Mike Pompeo called Thursday's announcement "an important step" in the response to Khashoggi's killing and said his department would continue to seek facts, consult the US Congress and work with other countries to hold accountable anyone who was involved. Absent from the sanctions list were four officials fired last month along with Qahtani: General Ahmed al Asiri, the deputy head of foreign intelligence, and three other intelligence deputies – General Rashad bin Hamed al Hamadi, director of the general directorate of security and protection, General Abdu llah bin Khaleef al Shaya, assistant head for human resources, and General Mohammed Saleh al Ramih, assistant head for intelligence affairs. The Treasury did not immediately respond to a request for an explanation of why they were not included. The statement by the Saudi prosecutor on Thursday was the latest shift in the Saudi narrative on Khashoggi's killing. Initially, Riyadh insisted the government critic had left the consulate alive. 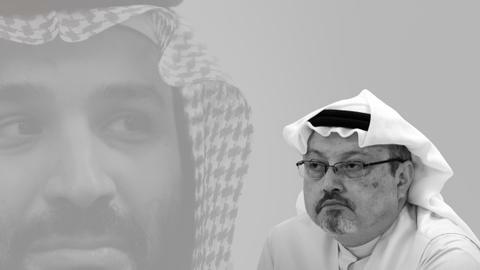 However, as Turkey's investigation progressed, Riyadh abruptly admitted on October 2 that he had been killed in the consulate. At the time Riyadh said it was an accident. However, Riyadh on October 19 acknowledged that the killing had been premeditated, a finding at odds with the latest statements. Turkey has sought Saudi Arabia's cooperation in the investigation, and Riyadh last month dispatched its chief prosecutor to Istanbul for talks with Turkish authorities and to examine the consulate –– scene of the killing. Turkey has shared voice recordings of the killing with a number of countries including Saudi Arabia, the United States and several Western allies. Ankara on Wednesday called for an international investigation into the case. TRT World's Tarek Cherkaoui explains. Saudi Arabia's Foreign Minister Adel al Jubeir on Thursday rejected Turkey's demand for an international inquiry into the murder, saying Riyadh had its own "investigative body" and would "reject" an independent investigation into the killing. He said it's now a legal case and should not be politicised. 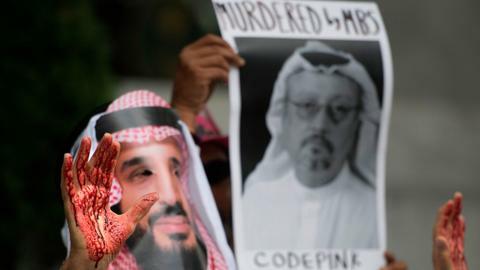 He also reiterated the prosector's claim that bin Salman was in no way involved, saying the crown prince had "absolutely nothing to do" with the killing of Khashoggi. Asked about possible international sanctions in response to the case, Jubeir said there was a difference between sanctioning individuals and holding the Saudi government responsible. "The politicisation of the issue contributes to a fissure in the Islamic world while the kingdom seeks the unity of the Islamic world," Jubeir told reporters in Riyadh. Riyadh also called on Turkey to sign a cooperation deal on investigating Khashoggi' death. The public prosecutor's office: "requested the brotherly Turkish authorities to sign a special cooperation mechanism specific to this case in order to provide them with the results of the investigation," read a statement carried on the state SPA news agency. 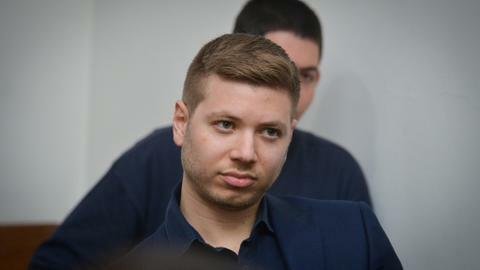 "The public prosecutor is still awaiting a response to these requests." Salah Khashoggi, son of Jamal Khashoggi, on Thursday announced his family will receive people expressing condolences for his father's death. The period for receiving those paying last respects will continue for three days – Friday till Sunday – at the family house in Jeddah.